PricewaterhouseCooper (PwC), we recruit for our Client, an ISO 9001:2008 certified company that provides Inspection, Training and Rope Access services to the Oil and Gas, Marine and Construction Industry for the positions of a Marketing Manager. With a Vision to be the best Inspection, Training and Rope Access Services company in Africa through the delivery of high quality service that exceeds customers' expectation. Our Client understand that their strength and continued growth lies in the quality of its people and in its commitment to offer statutory inspections and training that meet customers' requirement, national and international standards. To identify, build and maintain strategic relationships that will ensure the continued growth and profitability of the Sales & Marketing business and contribute to strengthening the organisation's brand. 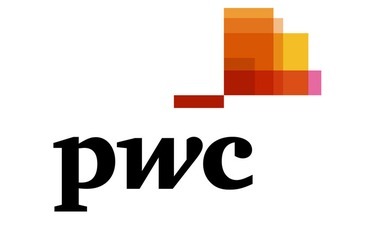 Click Here to Read More on "PricewaterhouseCooper (PwC) Vacancy : Marketing Managers"
John Holt Plc Company, incorporated as A Limited Liability Company, and we currently recruit for the positions of Graduate Legal Officers. The Company was listed on the Nigerian Stock Exchange in May 1974. John Holt Plc is a subsidiary of John Holt & Company (Liverpool) Limited, UK. 51.46 per cent of the issued share capital of the Company is owned by John Holt & Company (Liverpool) Limited, UK, while 48.54 per cent is owned by Nigerian Individuals and corporate investors. The principal activities of the Company are the assembly, sale, leasing and servicing of power equipment and the distribution of consumer and other goods. Act as intermediary/support to the various units on all legal issues that may arise from time to time. Assist in ensuring compliance with statutory requirements by making filings at the Stock Exchange, Securities and Exchange Commission, and Corporate Affairs commission. Assist in maintaining the company's registers. Rendering legal opinion on diverse matters. Drafting and vetting Contractual and Service Agreements on behalf of the company. Click Here to Read More on "John Holt Plc Vacancy : Graduate Legal Officers Recruitment"
Maersk Liner, the world's largest container shipping company is currently recruiting for the 2015 Graduate Programme. We are known for reliable, flexible and eco-efficient services. We provide ocean transportation in all parts of the world. We serve our customers through 374 offices in 116 countries. We employ 7,000 seafarers and 25,000 land-based employees and operate 580 container vessels. We market our services through the following brands: Maersk Line, Safmarine, MCC Transport (Intra-Asia), Seago Line (Intra-Europe), Mercosul (Brazil), and SeaLand (From 2015 Intra- Americas). Maersk Line is part of the Maersk Group, headquartered in Copenhagen, Denmark. The Group employs about 88,900 people in around 135 countries. Do you want to join an industry with a profound impact on the lives of millions of people globally? Do you want to kick start your career in a fast track graduate programme, take on high-impact assignments and challenges and make a difference in a global arena? If you thrive working with others, have a can-do attitude and have the ambition and passion to excel, the Maersk Line Graduate Programme (MLGP) can offer you the perfect opportunity to build a long-term, varied and meaningful career in an international environment. The MLGP - Commercial is designed to provide a structured, accelerated and ambitious graduate development programme for bright and dynamic professionals across a range of Commerical disciplines. The programme will support and challenge you through learning and talent practices to ensure that developmental opportunities are maximised to the benefit of both the participants and the company. You will join a team of colleagues who have robust functional acumen, strong insight, informed opinions and passion for the dynamics behind global trade. Together you will collaborate in executing strategies and reaching the business objectives of your assigned department. You will take part in four seminars across Asia, Europe and North America, where you will receive knowledge and business insights into the Shipping Industry. The seminars will challenge and inspire you to enhance your personal competences, and deploy them in your rotational assignments. You will steer your career. We provide you with a framework of business insights and developmental support. With continual support from your manager and HR, we empower you to be the captain of your career by delivering, learning and reflecting on your own development. Master's level education in Business or related discipline with a maximum of 3 years' commercial work experience after graduation in parallel with education or between degrees. Ambitious individual with a passion and drive to excel. An international mind-set and excellent command of English (both spoken and written). A pragmatic and holistic thinker. Resourceful and flexible with strong capabilities to prioritise, optimise and perform in a high-paced environment. Strong desire to pursue a long-term career within the commercial part of the business. International mobility and travels are expected. Build your knowledge from working with world-class experts within the shipping and business fields, in your rotational assignments and in the four global MLGP seminars. Build a global network that you can leverage in your future interactions to enable collaboration and career. Be significantly exposed to high-level leaders to ensure that theoretical insights are continuously linked to concrete business challenges. Become part of a diverse team where we play to win and 'we' always comes before 'I'. Click Here to Read More on "Maersk Liner Graduate Recruitment Programme (MLGP) 2016"